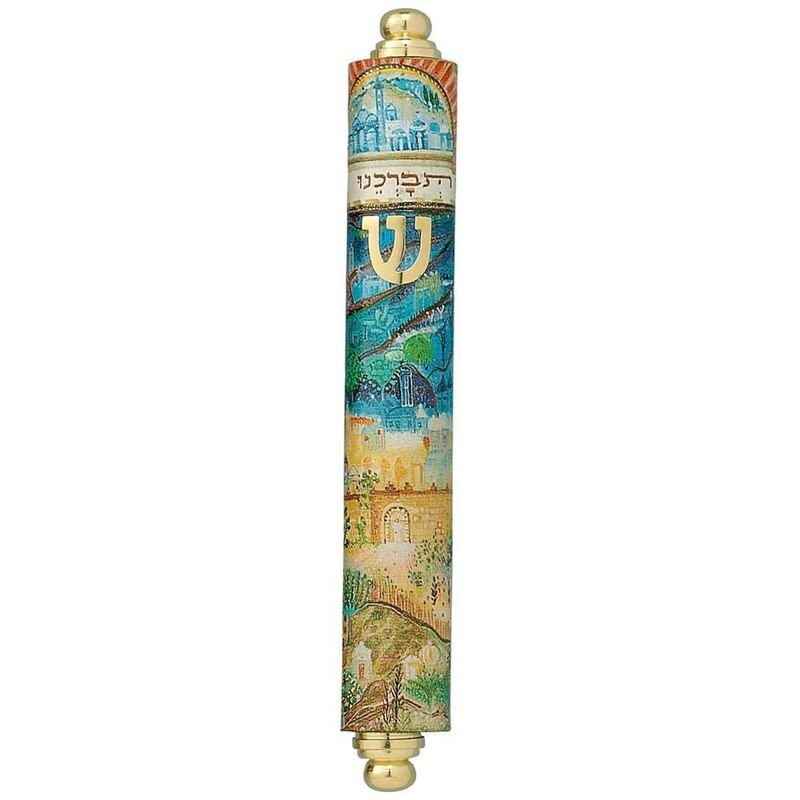 From Israel, This Wood Mezuzah Features A Colorful Scene Of Jerusalem. The Mezuzah Is 5" Tall. I love, love, love this one, it hangs in our bedroom doorway. The colors are so pretty and itâ€™s so easy to put up.